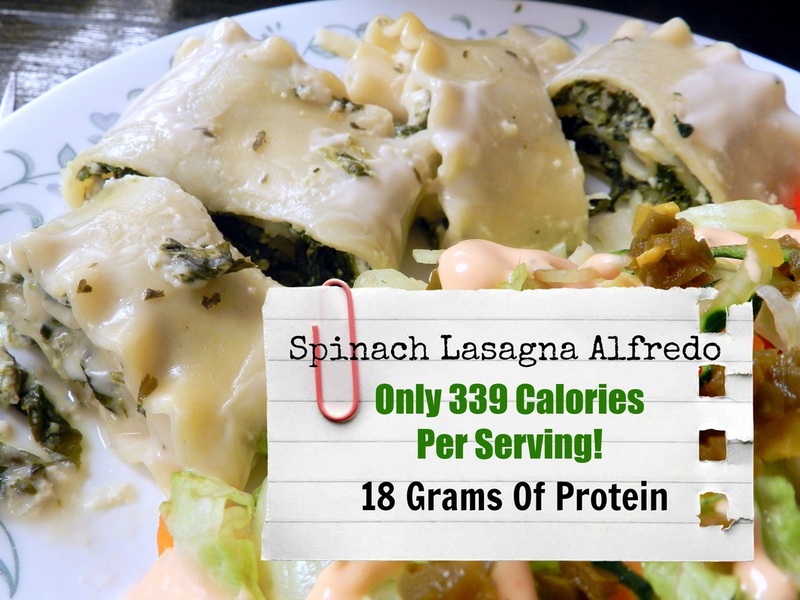 I’m Strong To The Finish..Cause I Eat My Lasagna Spinach Alfredo..
Hello Mason Jar Family it’s Mama Carol! It seems like forever since I have written last but this year I hope to see you a lot more often. So going off of Mama April’s post she asked for one word to sum up what you will want your 2015 year to be. Mine was sacrifice. So I have a lot of goals for the fourth coming year and one of them is living a Vegan life. I am starting off this week with no meats except for chicken & turkey and that will be limited to 2-3 times per week. I also want to give up breads and starches but lets take baby steps. So you will be seeing a lot of Vegan-Paleo recipes from me in the future I hope you enjoy them as much as I enjoy making them and sharing with you. My recipe calls for 6 ingredients and a sprinkle of parsley on top if you like. 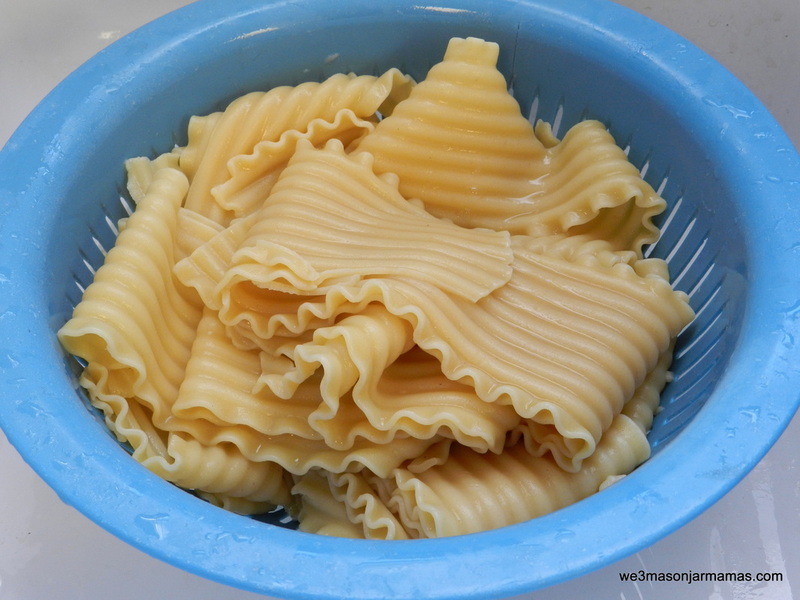 And as much as I would have liked to make my own Alfredo sauce time did not prevail..Maybe another time..So without further adieu here is the recipe..
Cook lasagna noodles till Al dente, drain and rinse with cold water. 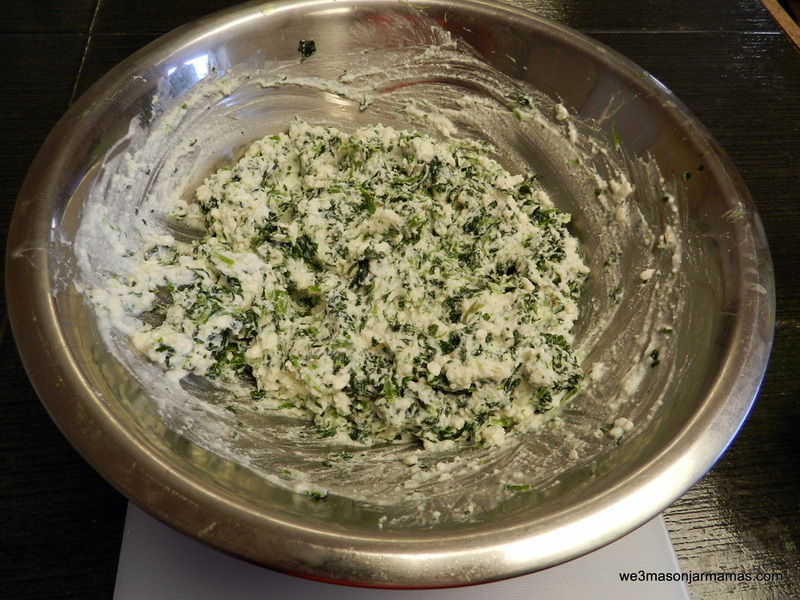 While that’s cooling off mix together the cottage cheese, ricotta, chopped spinach and garlic powder. 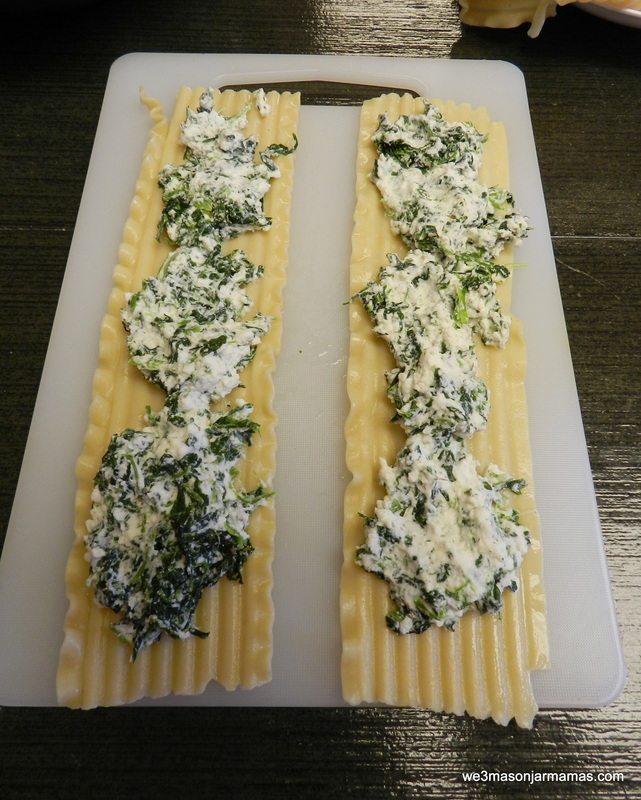 Then lay your noodles flat and put approximately 2 tablespoons of mixture on them and roll up. Pour about a 1/4 of the jar on the bottom of your pan. Mine is 11 x 15 glass. Line up your roll ups and pour the rest of the sauce over the top. I then sprinkled on some parsley flakes. 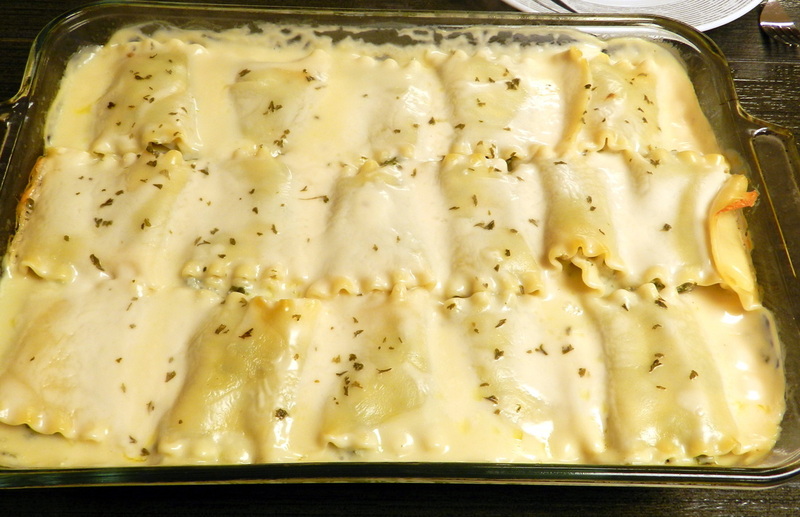 Cover with foil and place in a 350 degree oven for about 1 hour.